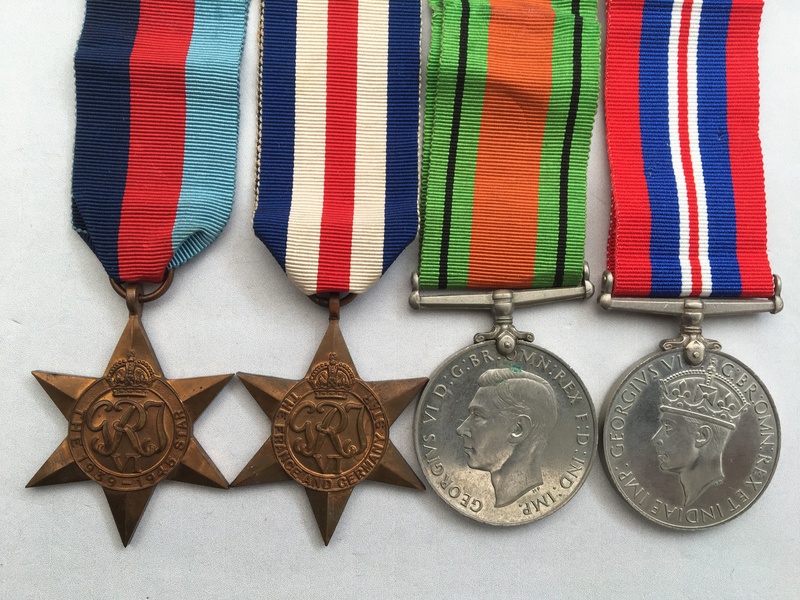 A WW2 medal group awarded to Mr J. H. Milburn, posted to him at an address in Consett, County Durham. 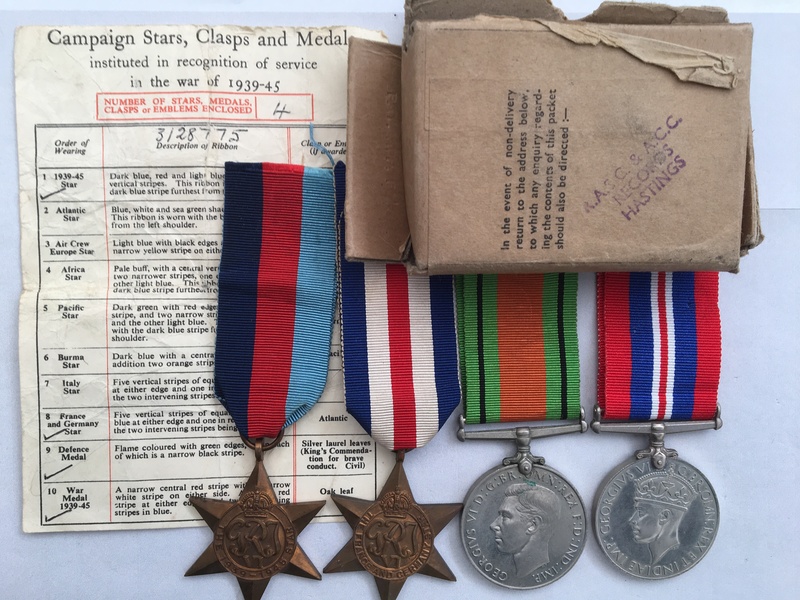 The medals were issued from the RASC/ACC records office. 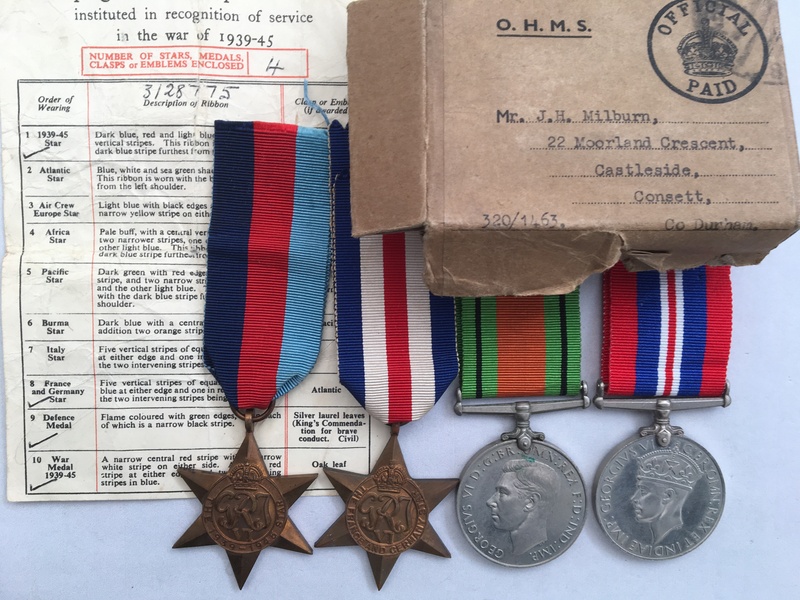 I have undertaken no further research into this man. 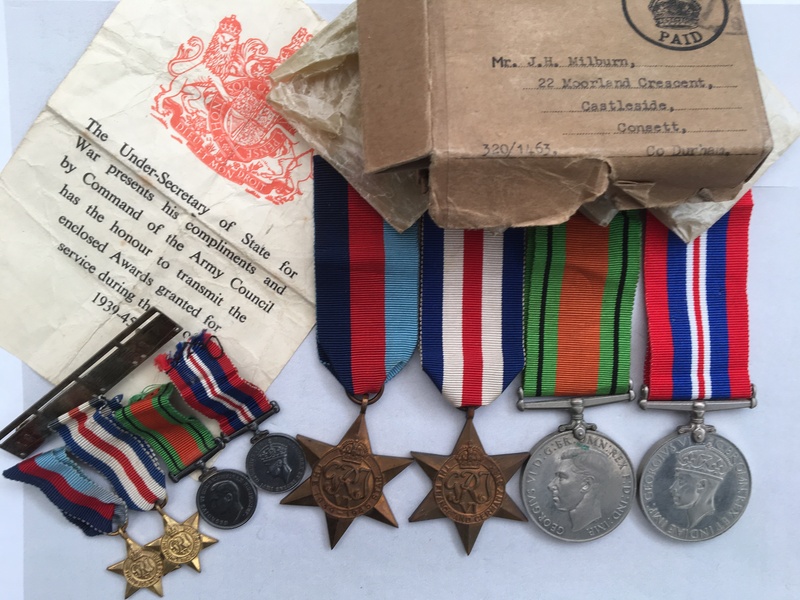 The medals are provided loose, and come in their original box of issue along with their original ribbons and wax packets, along with an Army Council Medal Award Slip noting the correct awards. 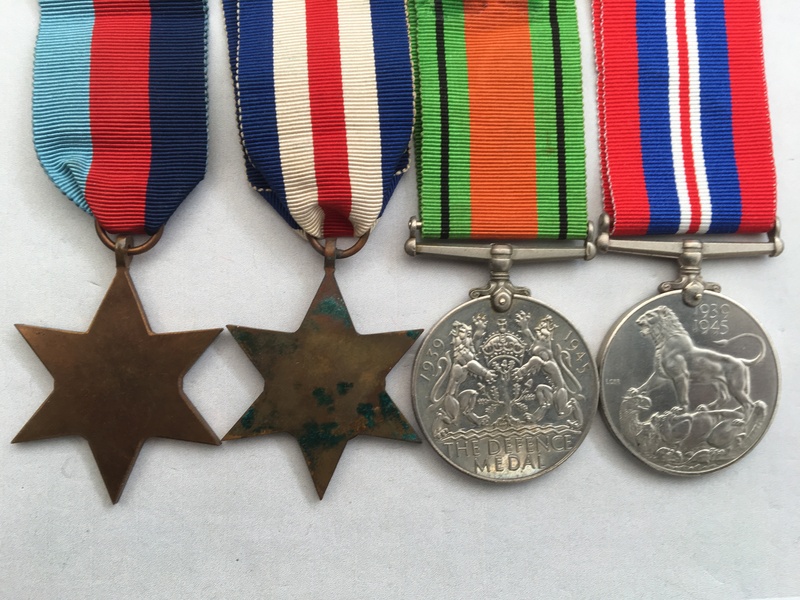 Additionally, there is a matching set of miniature medals that were swing mounted, but have come away from their medal broach, the broach is also included.